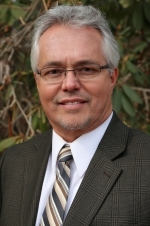 Doug has over 20 years of experience in Commercial and Residential Real Estate. In 2011, he gave Commercial Real Estate his priority after folding Martin Associates into Strategic Auction Alliance. He is a member of the Paula Martin group which is the top 2% of the state. Doug is licensed in New Hampshire and Massachusetts. His specialty is in automotive properties & investments, but Doug also works with all aspects of commercial real estate. His clients include investors, owners, developers, farms, business sales, landlords, and tenants. Some projects Doug has been involved in include residential development from site acquisition through state and local planning, infer structure development, lot sale, home construction, and lot assembly for large projects in the solar farm business. His experiences have allowed him to master the real estate process so he there for his clients every step of the way. Doug has also been an auctioneer for 35 years. He is a professional auctioneer serving the Banking and Legal Industry in both New England and New York. Doug has conducted thousands of auctions throughout his career. “Turning Idle Assets into Cash” from business liquidations to commercial real estate and president of New England based Martin Associates.